Students at Springs High School celebrate the opening of their new school. 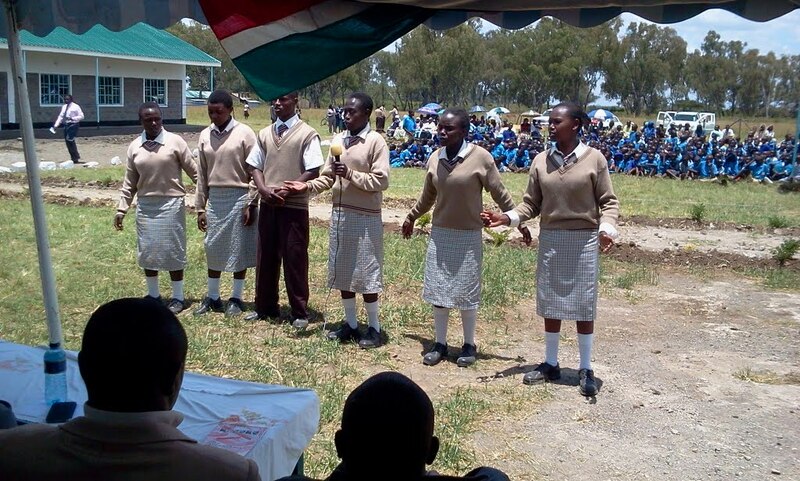 After taking on the project of Shalom Primary School in Rongai and visiting the community, World Teacher Aid recognized a need for a high school in the area. This area, an IDP resettlement camp, had no day school available for low income families and, as a result, students were forced to stop their education after class 8. Opening day celebrations at Springs High School! 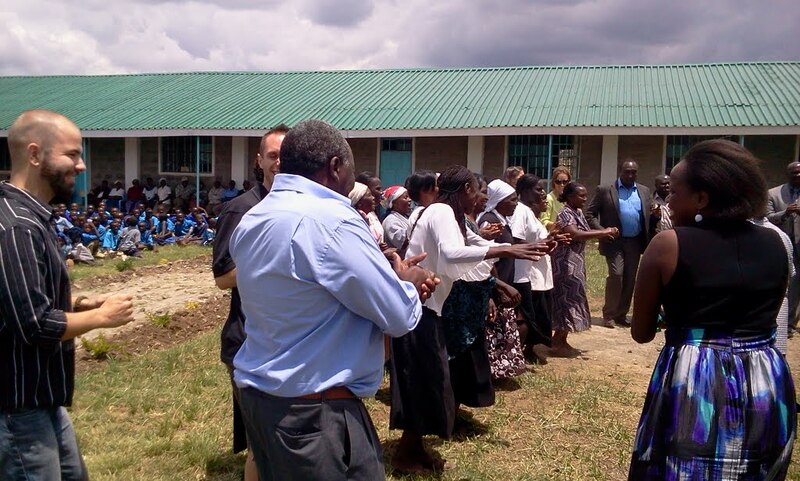 By again partnering with VICDA, World Teacher Aid raised funds for the construction of a high school and we are very happy to announce that on October 10th of this year Springs High School opened its doors! The school is starting small with only a freshman class of about 70 students from the Giwa area as well as other students who travel into the village to attend. The next freshman class will be admitted in January, at the beginning of the 2014 school year. Springs High School has 2 streams in each class with a total of 8 classrooms, 3 laboratories, 3 toilet blocks and the construction of an administration block will be starting soon. Once again, thank you to World Teacher Aid for their continued work in improving the lives of the needy people of Kenya. Thousands of children and several generations will surely benefit from your good and devoted work! Next Post Lemolo School Project Begins! Hi to all, hhow iss everything, I think every one iis getting more from this site, and yyour viiews are pleasant in support off new users.